Peter Carey is an Australian writer who lives in New York City, who I discovered about five years ago, around the time of Tristan Smith. Around the time of this interview at Mr. Carey's apartment in Greenwich Village at the beginning of 1998, his novel Jack Maggs had just been released, and the movie of his book, Oscar & Lucinda, starring Ralph Fiennes and Cate Blanchett had just come out. I hadn't seen the movie yet, but when I did, I loved it, although it was obscured. I found Mr. Carey very articulate and pleasant to talk to. My wife at the time, Victoria Straub, was present to take photographs, which I have never properly seen. Peter Carey also turned me onto the writings of Murray Bail, whose novel, Eucalyptus, was sitting on a table in the living room. Later on, Mr. Carey was supposed to show up at a reading at New School, but didn't show up, because Jack Maggs had won a book award. It was a reading for Bomb Magazine as I remember. He also mentioned that he was working on a new novel about an Australian legend who was a notorious criminal. Alexander Laurence: What do you think are the advantages of being an Australian writer? 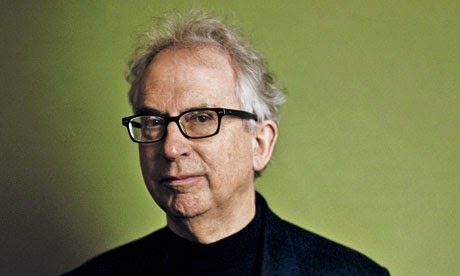 Peter Carey: The wonderful thing about Australia, and being a writer in Australia, is that you feel that it is still possible to do just about anything. The history is still very short, the culture is still very thin, and feels in a sense like it’s the 19th century. Things can still be named for the first time. That’s very exciting if you are a writer. You don’t feel the dead weight of history pushing your nose down in the dirt. I think that it difficult for an American writer to feel that, and nearly impossible for a British or a Chinese writer to feel that way. AL: How did you come to writing? I know that you were involved with advertising and you studied science in college. PC: Well, science first. I was sitting at this table the other day, and my son asked me for the first time, what had happened to me in college. I told him that I failed every single subject. And his face fell. I suddenly realized that was a terrible thing to tell him, that his Daddy totally flunked everything, and indeed I did. Although I was accepted to study architecture at another college, I couldn’t allow my parents to pay all this money for me, so I got a job in an advertising agency. Having done that, I soon met all these writers and painters. In Australia at that time, I was living in Melbourne, there wasn’t very many places artists could go to earn a living. There wasn’t a bunch of magazines and newspapers. There wasn’t much television, and there certainly were no movies. This was the beginning of the Sixties. The year of shame, and the year I failed, was 1961. I can still see that date written in front of my chemistry books. When I met all of these writers, I really began to read, and acquired an education in a rather odd order, reading Joyce before Dickens. I also read Beckett, Kafka, and Jack Kerouac. AL: In some of your recent novels, you have often been compared to Dickens, but you say that you hadn’t read much of his work. PC: I really hadn’t. When Illywhacker was published in 1985, and when Oscar & Lucinda came out a few years later, people flattered me when they called me “Dickensian.” It was rather embarrassing to not have really read a whole heap of Dickens. It was Nabokov’s lecture about Bleak House that got me real fired up about Dickens. I couldn’t overcome my antagonism to this nauseating character, a young woman, and I couldn’t read it. Later, the idea of Magwich, in Great Expectations, was something that I was familiar with. When I realized that this was interesting territory for me to think about, then I became interested in reading Dickens. AL: Is Jack Maggs your first book that you dealt with post-colonialism? PC: Oscar & Lucinda does cover that territory too. In a way, you could see almost all of my work as being obsessed with qualities of the nation, and the definition of nationality itself. I think that has interested me from the beginning. I think that the thing that attracted me to the idea of Magwich, was that I was interested in the role of the convict had played in Australian history. Today, Australians say that they are proud of their convict past. It’s very cool to have a convict ancestor, and now you can go to Sydney with the kids to see re-enactments of a penal colony. You can go see people get whipped for fun. There’s something about this past that has affected us, that we haven’t assimilated or dealt with. When I thought about Magwich as my ancestor, I thought that was an interesting way for me to begin to deal with some of those ideas. There are two emotional responses to Great Expectations. As an Australian, when you force yourself to be free of Pip’s perspective, which you tend to adopt: you read the book from an English point of view, because the narrative forces you to do that. As an Australian, you still do naturally inhabit that point of view, and that’s a usual thing to do except for quite recently. When you look at it from the Australian point of view, and one of the things that occurred to me was that I still don’t understand why Magwich’s money was so much worse than Mrs. Haversham’s money. That’s a relatively slight observation. The other thing was Magwich’s perspective: here’s a man who was raised brutally, cast out, tortured, all he can think to do, the minute he has a chance to do it, is to return to England. What does he want to do? He wants to raise an English gentleman son. He wants to create a replica of the class who is responsible for his banishment, torture, and everything. I thought that was a very Australian project. It wasn’t Dickens’ fault. It had everything that was resonant with the present and recent past of Australia. When Jack Maggs says “I am not of that race” I felt like I was touching something that had to do with deep self-loathing that is still present in 20th century Australian culture. AL: How do you approach the language in terms of creating an atmosphere that seems to approximate the time, the 19th century, in which both Jack Maggs and Oscar & Lucinda take place? PC: There’s a big difference between the two books. Oscar & Lucinda has a present-day context, a late 20th century narrator tells that story. The way the sentences work and the voices really come from that. Although it may seem like a Victorian novel, it wasn’t even in my head. The story is set in that period, and the characters may do things that people do in Victorian novels, but I was just writing a book that just happened to be set in that time. With Jack Maggs, it’s a different case. The language touches the 19th century a little bit more deeply I suppose. The imaginary point of view is a more 19th century one. The structure is determined by the forces of story that I need to tell. It was important for me to begin with the moment Maggs comes to find his son, because for me that was the essence of the quest. I wanted to conclude with the son becoming physically revealed as the phantom and the son, so in a way, the torturer and the beloved are the same. That was my destination as I was working my way through the book. So I wasn’t thinking of the form of Victorian novels at all, and I wouldn’t know how to discuss that. AL: Part of the novel Jack Maggs is concerned with the novelist, Tobias Oates, and how he tries to analyze Maggs to an extreme point, with hypnotism and the use of magnets. Oates was interested in the criminal mind. It made me think about exploitation, and how far can an author go without being accused of exploitation? PC: I didn’t really conceive as this as a critique of writers or the writer’s practice generally. Really I drawn into this by what I think really has to happen, because I need a writer who knows a real story, who then is going to burgle him and steal his secrets. I think it’s true that writers will use damn near anything to make their story work. The question whether that it’s justified or unjustified, I would say that it’s mostly unjustified. I think that the notion that artists have that it’s fine to behave badly, because that will be vindicated by their art, is a load of horseshit. The whole notion of a criminal mind is a very Victorian one. AL: On the way over here, Victoria and I were talking about your characters in your novels. They all seem to be very strong ones with a very defined sensibility and sense of themselves. Jack Maggs, Oscar, Lucinda all seem to have chosen their paths earl on, they have strong views, and they are very strict in the way they see the world. PC: I don’t have a philosophical basis for doing that. For instance, when I was thinking about Oscar & Lucinda, which, like most of my books, begins for me by imagining the end. I imagined this church on a barge floating down a river. I really imagined that because I wanted a box of Christian stories floating down a landscape full of aboriginal stories. It’s some sort of visual idea of some argument or dialectic. I started to think about why would anyone put a church on a barge, why would that happen? Then I imagined someone who’s obsessed with glass. When I recognize that glass has some symbolic weight that I’m interested in, and there’s someone who’s obsessed, I’m really excited. It’s fun to write about people who are obsessed about particular things because you can put them in opposition or in conjunction with each other. I like that. When I begin a novel, I have no idea who the characters are. I just know that there are these Christian stories and these Aboriginal stories. As I develop the story, my requirement of people is that they do certain things, which sounds like a recipe for total disaster, and going about obeying the author’s will. Writing then becomes a process of saying “Why would anybody really do that?” The more contradictory things I require of a character, the happier I am in a way, because as long as I am rigorous about answering the question, I think that I’ll create a multi-faceted, complicated person. By the time three years go by, and I’ve finished the book, the thing that I’m most proud of are the characters. AL: Are you interested in religion in the face of scientific inquiry? I was thinking of specifically the Victorian era which was haunted by Darwinism. Do you have any religious views yourself? PC: I’m not religious myself, and my novels are not about self-expression. If I can explain how I am interested in the territory, it might explain the interest in it. I was living in the country, and there was a little church. It was a beautiful landscape. There was a large mountain and a little river below. I didn’t think about it too much, till the Bishop of Grafton decided that no one was going to that church so he wanted to take it away. I got mad. That was interesting for someone who wasn’t a Christian anymore to get mad. Why am I emotionally involved in this at all? I realized that I grew up with all of this. If I grew up with any culture, it was a Christian culture. I knew that once the church was removed, all that would grow there would be thistles. That seemed to me to be reasonably symbolically apt. It was much like how Australia is. It’s not like this country. I think that Australia is a much more godless country that the United States. Christianity seemed to be loosening its hold, and there wasn’t anything to replace it. For me, it’s about exploration into the Christian world. It has little to do with expressing my own feelings.